Help these 800,000 people get God’s Word in their language. You know we love you, right? We do. That’s why we do everything we can to encourage, inspire, and challenge you to connect with God daily through His Word. Because we want you to experience the same intimacy with Him that we enjoy. But did you know…? Join us, and let’s share our love with them. …Dear friends, since God loved us this much, we must love each other. Here’s how. It’s simple, practical, and immediate. …if we love each other, God lives in us, and his love is brought to full expression in us. 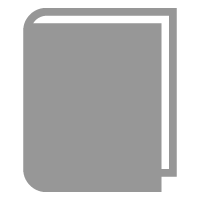 Give now, and help the Aja people (pronounced AH-jah) get the New Testament and Genesis translated into their language. This one simple act of generosity will help 800,000 people in Benin and Togo4 in Africa hear from God through His Word… just as we do. As the family of God, one day we’ll experience the great joy of meeting the brothers and sisters in Heaven whose lives we touched here on Earth. …I looked, and there in front of me was a multitude that no one could count, people from every tribe and every nation. 1 See illumiNations’ website for details. 3 In Zambia, Tanzania, Southeast Asia, Gabon, and Ethiopia. 4 The Joshua Project: Aja. 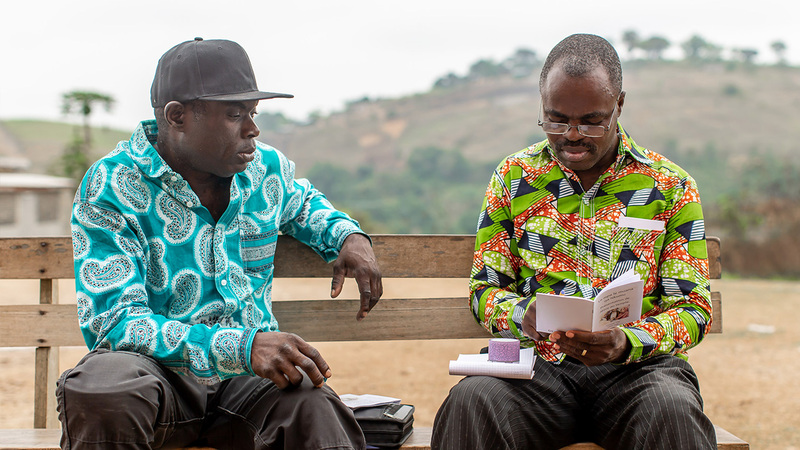 Help these 20,000 people get their first Scripture ever. Do you believe the Bible is God’s inspired Word? Do you give God’s Word a voice in your life? What if the Bible didn’t exist in your language? What if everyone had the same opportunity to hear from God’s Word? This is your chance to make an eternal difference in the lives of 20,000 people. As believers, one day we’ll experience the great joy of meeting people in Heaven whose lives we touched here on Earth. 3 In Zambia, Tanzania, Southeast Asia, and Gabon. 4 The Joshua Project: Bussa. Take your place in Bible history. Thousands of the world’s languages don’t have even a New Testament. But we’re changing that… together. To get Scripture circulating quickly, each time they complete a new chapter, they’re releasing it as audio recordings and in print booklets. When they finish the final chapter, they’ll compile the completed book — and we’ll include it in the Bible App! Local churches are already well underway translating God’s Word into those three languages, but it’s not too late for you to take part in the next language: Wumbu. Just imagine over 18,000 people getting to read these words of Jesus, for the first time ever in their heart language! Get in now on this worldwide move of God. 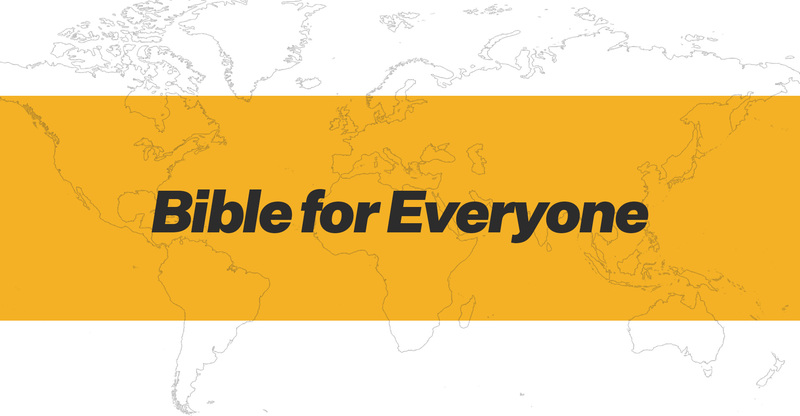 2 All contributions received through the #BibleForEveryone campaign will be used exclusively for the purpose of Bible translation. Life.Church is contributing $1 million over the four-year period from 2017-2020. During each calendar year, Life.Church is contributing $250,000, spread across different, high-impact translation projects. As each project is completed, any remaining funds are then applied toward the next translation project, as selected by YouVersion and its partners. (See original blog post for full details.). 3 Original posts: Zambia, Tanzania, Southeast Asia. With the Compare versions feature in the Bible App, you can quickly see how different Bible versions translate the same passage. 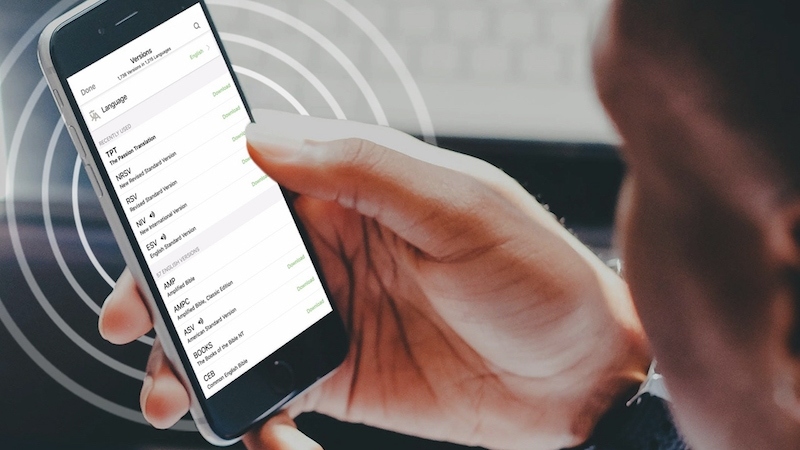 Tap on the verse, then tap Compare, and see the same verse repeated in all of your recently used Bible translations. Discover the version that speaks to you and connect with God in His Word every day. Today, billions of people around the world carry a mobile device, and many are actively searching for hope and purpose in life. 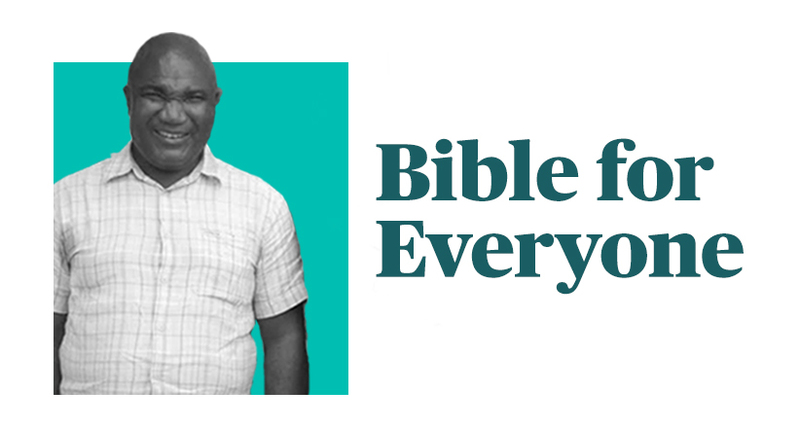 Our prayer is that one day all people will have access to a Bible, at the click of a button, in the language and version that speaks to them – because we believe that God’s Word has the power to change lives. We serve a God of second chances. Every time you open the Bible App, you hope to find something from God’s Word that will speak into your life. But, what if instead, you saw this? Sorry, no Bibles exist in your language. If that seems hard to imagine, then you may not have heard: more than a billion people still don’t have a complete Bible in their language. Most languages don’t have a complete New Testament. More than 165 million people don’t have even one Bible verse in their language. Why is this so important to us? …people need more than food to live—they need every word that the Lord has spoken. 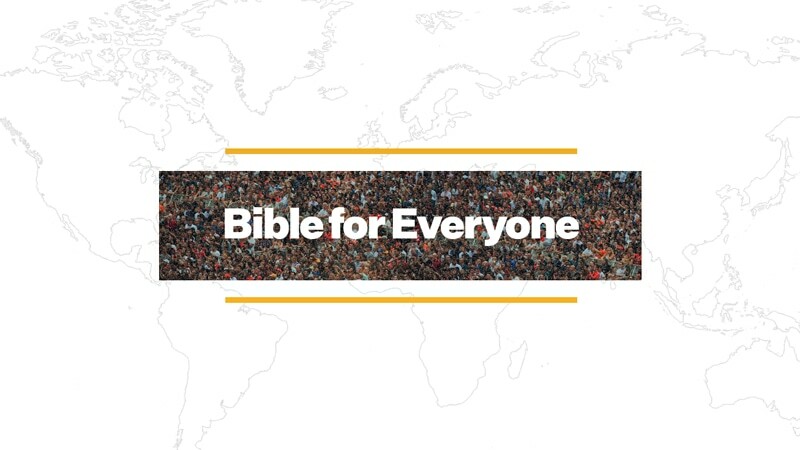 We hope you’ve already been hearing about #BibleForEveryone, YouVersion’s translation initiative with ministry partners, where we identify strategic projects that could rapidly get Scripture to huge numbers of people with modest additional funding. Life.Church committed to match contributions from the global YouVersion Community (that’s you!) 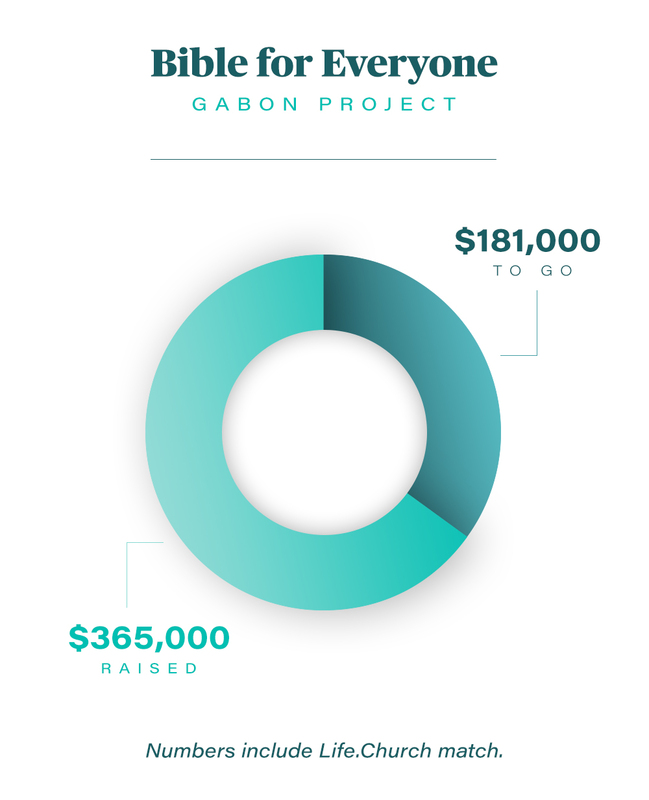 toward Bible translation, up to $1 million.1 So far, your generosity has already covered three quarters of our current project: helping churches in Gabon, Africa, translate the Gospel of Luke into three languages (Kota, Obamba, and Teke).2 Thank you! Don’t miss out on this historic move of God. Bible history is happening right now, within your lifetime. This isn’t just some vision for a distant future. During 2017 alone, Life.Church and YouVersion’s generous community together contributed more than $655,000. The four projects they funded provided Scripture to more than 1.17 million people, in Zambia, Tanzania, Australia and Southeast Asia!4 What will happen when every person on earth finally has the opportunity to experience the life-changing power of God’s Word? Join us. And let’s finish this… together. 3 See illumiNations’ website for details. 4 Original blog posts: Zambia, Tanzania, Southeast Asia.